Our clients have found that our 27 years of professional sound engineering experience and our unique world class concert knowledge provide a comfortable, pleasant & worry free live event experience, and a tremendous value for their budget. 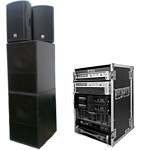 The total cost of hiring with Lymelyte Concert is comparable to that of other dedicated high-end professional PA Systems offering world-class facilities. 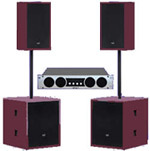 We offer a full range of audio services, the finest equipment, and years of live music and events experience. Our low-pressure laid-back vibe add up to a most pleasant event, and a high quality product. All prices are subject to VAT and exclude delivery and crew costs. All hires are subject to our terms and conditions. For larger systems please call us on 0207 708 2544 to discuss your requirements or email us at info@lymelyteconcert.com with your specification.